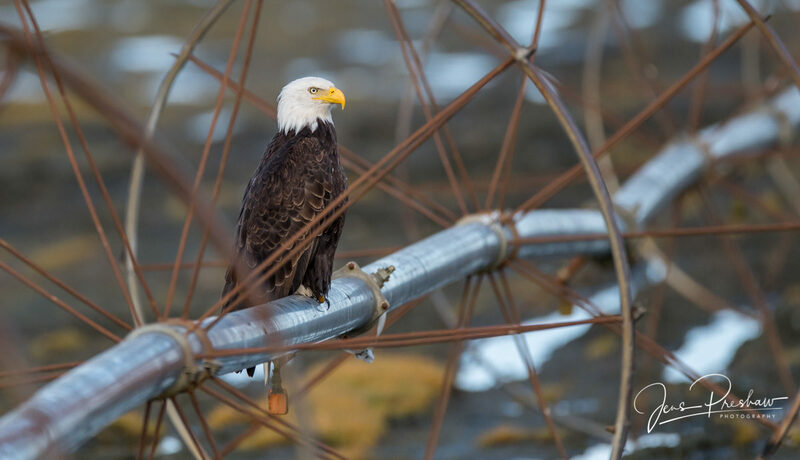 In a farmer’s field this adult Bald Eagle ( Haliaeetus leucocephalus ) was perched on a wheel line irrigation system. I like this image because I used a shallow depth of field and focused on the eye of the Bald Eagle. As a result, the wheel line irrigation system is out of focus or soft, creating an interesting bokeh and photo.